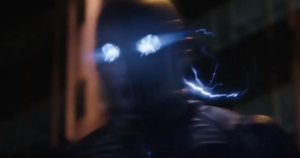 The CW has released an official synopsis for “Enter Zoom,” the sixth episode of The Flash Season 2. 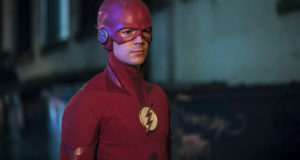 BARRY COMES UP WITH A PLAN TO DEFEAT ZOOM — After recent events, Barry (Grant Gustin) decides it’s time to confront Zoom and comes up with a dangerous plan. 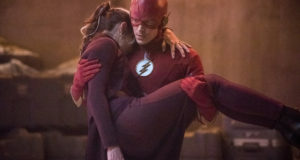 Caitlin (Danielle Panabaker) sides with Jay (guest star Teddy Sears) and deems it too dangerous for Barry to engage with the speed demon. However, Iris (Candice Patton) shows her support and brings forth a surprising ally. We see what Earth-2 Harrison Wells’ (Tom Cavanagh) life was like before coming through the breech. JJ Makarodirected the episode written by Gabrielle Stanton & Brooke Eikmeier(#206). Original airdate 11/10/2015.